Sascha El Waraki german a Director and Author with Egyptian Roots. He is currently busy preparing his first feature film, a comedy about the culture clash entitled Brautschau (Looking for a Wife). 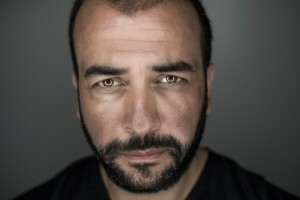 As head author Sascha El Waraki created 32 episodes of the sitcom Ein Haus voller Töchter, produced by das Vierte. He has developed the sitcom “Spielplatz Mothers” for RTL, and has directed comedy establishing spots, sketches and advertising films and also wrote scripts for the Sat.1 comedy series Die Insider. He worked for Constantin Entertainment and Redseven as director and author for a variety of fiction formats and various shows. In 2004 Sascha El Waraki successfully completed his studies as a film director at the Academy of Media Arts Cologne (KHM) with the road movie Insert Coin. Since 2012 Sascha El Waraki has also organised the Travis Rehearsal Group in cooperation with the Filmwerkstatt and the University of Television and Film Munich (HFF). This provides opportunities for directing practice for directors and actors using the Travis technique. Sascha El Waraki loves cooking, sailing and the mountains, even when he is not practicing any alpin sport but sledging. You will find more about SASCHA EL WARAKI’s projects and career under VITA.